Google 2014 Searches of the Year! As we come to end of 2014 it is time to look back at the year that has been. Many different services and websites have an end of the year review of all the news and stories that happened during the year. 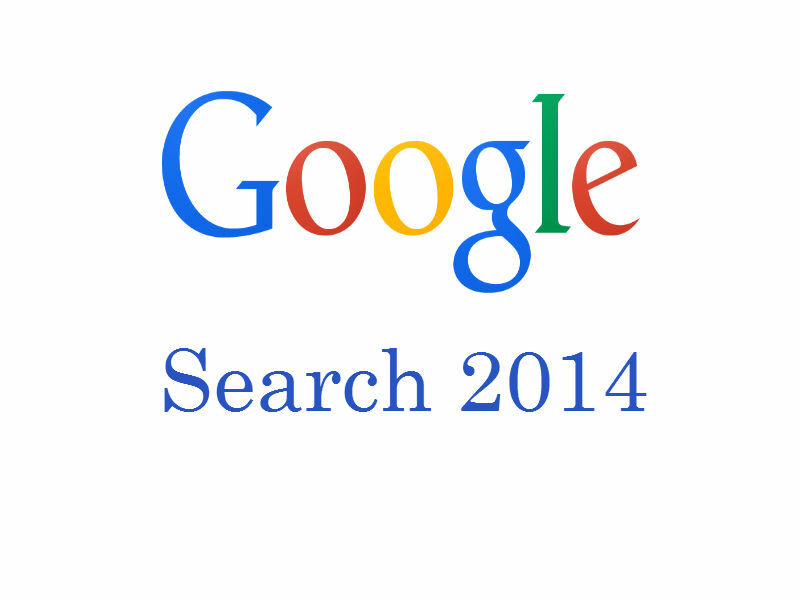 Google has compiled a list of the tops searches of 2014 and here is an overview from 2014. Google compiles the highlights from the searches in 2014 in a fun video. But if you take a look at the Google site it has in depth information on what the world searched for in 2014. You can also break it down by Country, or by category. There are tons of different categories you can choose from including; People, Memes, Questions, etc. You can also look at search term popularity in different countries over the past four years. Now most people may not be interested in how many people search Google about Phones in Brazil. But the Google Search review is a good place to go to and see what happened during the year. Looking at the top ten search on Google in 2014 you see the biggest moments of the year represented.The tragic death of Robin Williams topping the search list. Other search terms in the list were related to world events that had millions of people searching about them. The top searches can be different for each country, but the Global top ten searches contain world wide events. The world wide events include the Sochi Olympics, Malaysia Airlines disappearance, ISIS, ALS ice bucket challenge, and the World Cup. Some of the top searches are fun like Frozen the Disney movie, and Flappy Bird the addicting mobile game. But some of the top searches are regarding sad events during 2014 including the missing Malaysia Airlines plane, the Ebola outbreak, the ISIS terror, and the death of Robin Williams. This list from Google allows us to look back at the top 10 things we were searching for in 2014. Looking at the Google top gadget searches it is clear to see that people searched for Smartphones way more than any other gadget. Five of the top gadgets are either Apple or Android Smartphones, and two additional spots are taken but smart watches both the Apple Watch and the Moto 360 which work with the smartphones. Surprisingly the other spots in the top ten are Chromecast, Xbox One, and Microsoft Surface. The Sony Playstation 4 which outsold the Xbox One throughout the year is not in the top ten gadget searched. Google is the primary search engine on the Internet so the top lists every year will show a good representation of what people are searching for. The Google Search trends give a lot of information about what we cared about during 2014. If you want to find more information on many different topics you should check out the site and explore the searches of 2014.